My daughter and I really enjoy being outdoors hiking and camping when the weather is nice. But one thing I struggle with is keeping my hands free, especially if it’s dark out. Have you ever tried to take a youngster to the restroom while camping in the dark at 2 am in the morning while holding a flashlight, their hand so they are not scared of the dark and navigating a trail? Well I have and it’s not fun! When I came across an offer to try out the hands free head lamp in exchange for an honest and unbiased review I could not apply fast enough. The LED Headlamp comes in really handy in those moments when you need to see in the dark but need to keep your hands free to carry things or work on something. This past weekend we were attempting some spring cleaning in the garage. I needed my hands free for this. I put on the LED headlamp and I was able to see where I was going and carry things out of the rafters. One feature I really appreciate while I was cleaning was the swivel light. I could adjust it up or down depending on where I was trying to see. This really came in handy when I was in the rafters. I could also see this coming in handing if you were working on fixing an appliance or car. Having a light that can be positioned really does come in handy. I am also looking forward to using this throughout the summer when we are camping. It will be very nice to be able to see and have my hands free at the same time. I also like that one button controls it all. Easy peasy. I won’t be fumbling around with buttons or switches. Just a simple press and here comes the light. The headlight is powered by 3 AAA batteries that should last about 16 hours. So if you are planing on taking it camping I would bring a set of backup batteries just in case. The headlamp is tough. It’s made of shock resistant material which is great because I have a child and also because I will be using this when camping and may not always be treated gently. I’m very pleased with the headlamp. And very appreciative we were given the opportunity to try this out. 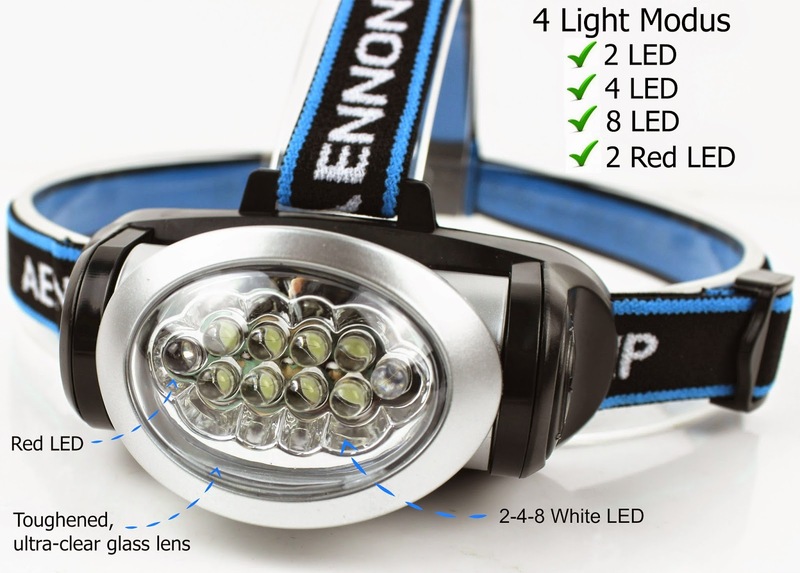 I received the LED Headlamp Flashlight by Aenon complimentary for evaluation purposes. Regardless, all opinions expressed are still 100% my own. I am disclosing this in accordance with Federal Trade Commission 16 CFR, Part 255 Guides Concerning the Use of Endorsement and Testimonials in Advertising.